Finnco Fabricating, LLC is an equal opportunity employer and we are always looking to expand our team. Please send your previous experience, resume and contact information to careers@finncofabricating.com. To receive an estimate, please fill out our contact form and we will contact you as soon as possible. Metal fabrication is the building of metal structures via cutting, bending, and assembling processes. 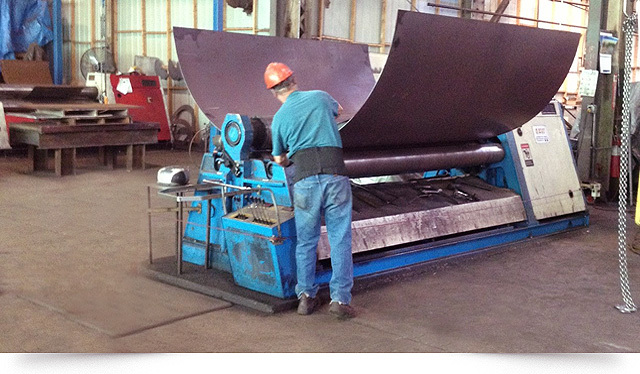 Finnco Fabricating offers a number of these services, including plate rolling, bending & forming, angle rolling, burning, shearing, punching and welding. Finnco Fabricating has constructed an outstanding reputation built on customer loyalty and excellent customer service. Our jobs are completed on-site, in Milwaukee Wisconsin, by a professional & experienced staff.